A LOGO is a graphical representation of your company and one of the most important aspects in building brand awareness for your customers. 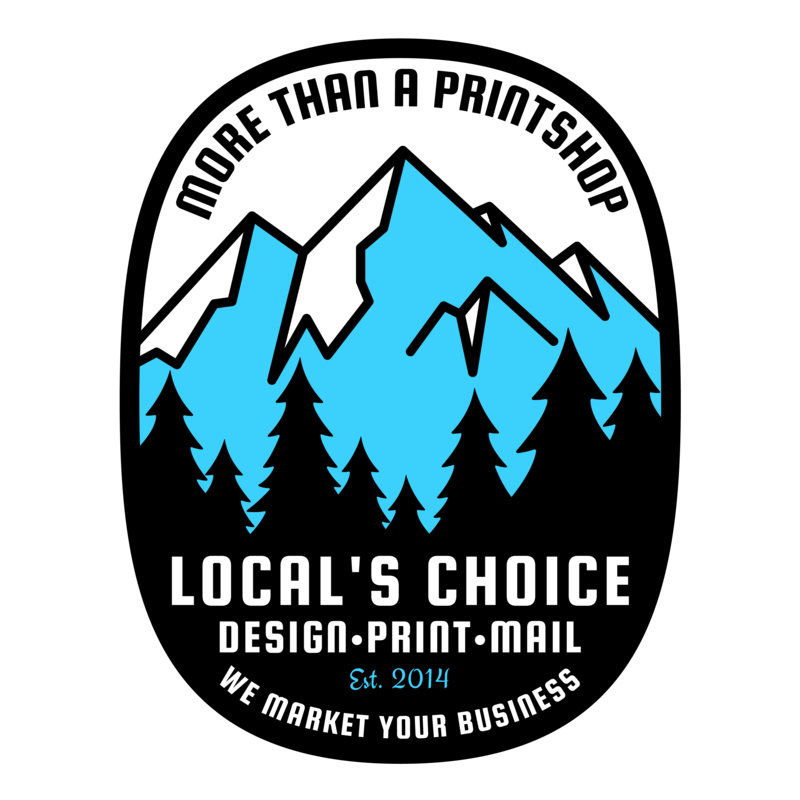 At Local’s Choice, we help you design, create, and develop your company’s logo to fit your style and image. CORPORATE IDENTITY plays an important role in your customer’s perception and sets a custom image of your company’s identity. We help you create the design and feel to incorporate your company’s image. Just let us know what kind of layout and colors you have in mind and leave the rest to us. BROCHURE plays a major role in the marketing process; it acts as a sales representative to your company. It lets your customers know more about your company and can give pertinent details on your services and/or products. 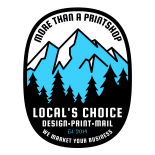 Local’s Choice not only personalizes your brochure but also designs and prints them for you. Simply choose the type of fold you prefer and we will do the rest. See mailing services. POSTCARDS can be sent out for nearly the same price as a stamp. Postcards are the most cost-effective way to market products and services to your intended customers. It is one of the best tools you can use to promote your company’s products and services. We will mail your postcards that you print with us, taking full advantage of discounted postage rates, and a complete mailing service that is more economical and easier than doing it yourself. Leave it all to us and see the result! FLYERS act as a perfect informational tool for handouts. It can concisely convey your company’s information, event and offerings. BOOKLET/CATALOG printing is a popular way to market your company’s products and services. An attractive and well-designed booklet/catalog can draw a lot of potential buyers. Businesses of all sizes often use booklets/catalogs as part of their marketing strategy while also doing Direct Mailing. Always a healthy and essential asset for business growth. To personally connect with customers where modern technology couldn’t is still an excellent marketing strategy. RACK CARDS are 4″ x 9″ cards, which are displayed in racks at most office reception desks. RIPBUSINESSCARDS come in the form of either a door hanger or a rack card with a conveniently detachable Business Card. NOTEPADS solidify your company’s image and serves as a great tool for your salespeople that distribute to customers. Notepad printing is great for handing out to target prospects with your company’s information. Personalized notepads keep your identity with your ideas. We do Marketing consultation for new businesses to help them generate ideas on how to get new customers, improve existing promotions, and explore effective methods of marketing their businesses. Give us a call and let us know how we can help. For more information call (530) 636-4278. We take pride in our design work and we make sure that customers are satisfied with the entire experience and final product. Our aim is to create a positive lasting impression. For more information call (530) 636-4278. Affordable and convenient. Take advantage of our discounted mailing service rates and eliminate that extra trip to the post office. For more information call (530) 636-4278 and ask for the design department.